Designer Frank Tobias has created yet another interesting tablet concept, based on the XPERIA X10 handset. 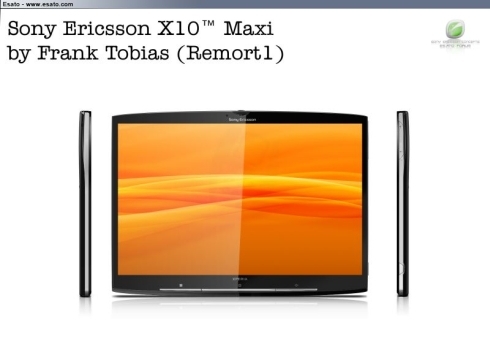 Dubbed Sony Ericsson X10 Maxi, the slate comes with an 8 megapixel camera, Android 2.0 OS and 100GB of internal memory. iPad rival anyone? More info and a larger pic can be found on the designer’s website.